In exchange for his granddaughter’s hand in marriage, a curious young bloke presented his new grandfather-in-law, Judge, with a bottle of gin. The gin was triple distilled with a curious blend of spices. The Judge was tickled by the gin and insisted his grandson-in-law provide him with a regular allocation of the toothsome spirit. 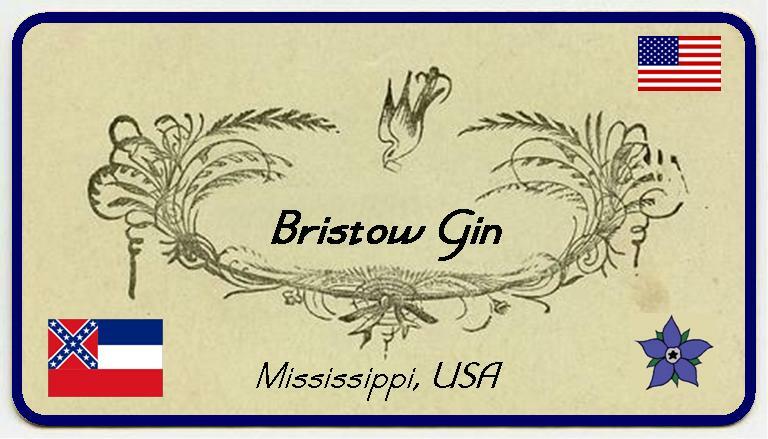 With that encouraging nod, Bristow Gin was born and went on to live most happily ever after. Nose: Juniper and citrus, with a touch of floral coriander charm. Taste: Initially, spicy coriander that then moves aside for the juniper, some citrus peel, more coriander and then spicy, spicy cardamom. Fantastic. A Gin & Tonic definitely of the classic style, only with more citrus – lemon and orange – and a bit of sweet spice on the finish. Piney juniper gives the drink a very dry, slightly bitter, finish. Additionally, there’s a nice dose of cardamom at the end. This is my sort of drink. Initially crisp, with lots of juniper and touch of bitterness provided by some notes of dark chocolate. The finish is soft, with spicy cardamom, which makes for a rather lovely combination of flavours and textures. Beautiful. Another classic Negroni; the balance of the three ingredients and flavour components – bitter/sweet/dry (juniper) – is just so. This is very clean and easy-to-drink, with a just touch of vanilla in the middle. I think this would be signed-off perfectly with a sliver of citrus peel. Very pleasing. What can I say? 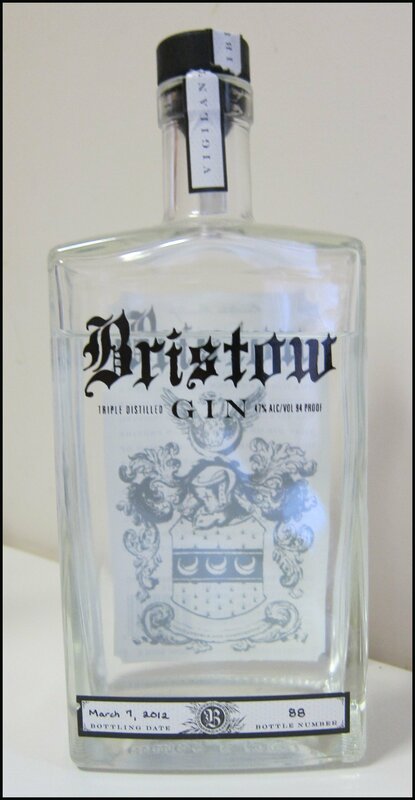 Bristow Gin is a gem in the crown of American Gin and fully embraces the heritage and tradition of Gin whilst also bringing something new to the table. This is a real Transatlantic Gin; another Cary Grant for the Gin world. I find it almost impossible to pick my favourite drink with it, but I am rarely so impressed with a Martini these days, so that will be today’s highlight. 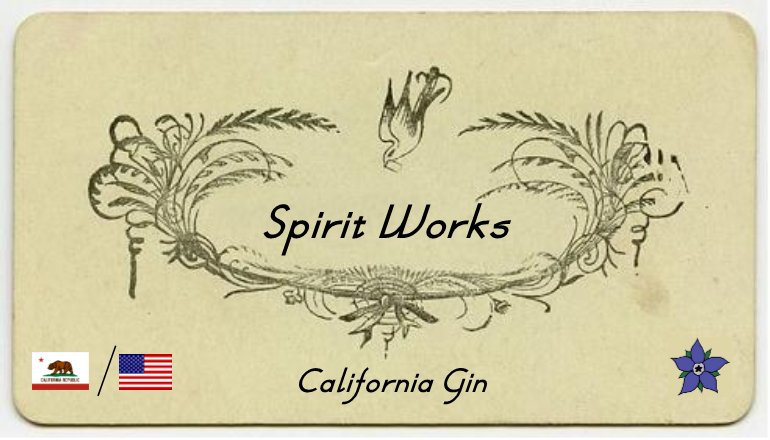 Today’s gin is from California, a powerhouse of American craft distilling. It is made by Cutler’s Artisan Spirits, which is based in Santa Barbara. In addition to their gin, they make a vodka, 33 Bourbon, Silver Whiskey, and Apple Pie Liqueur. Nose: Very zesty, with lemon, citrus, vanilla, and spice. Taste: Cardamom spice and citrus, followed by juniper and angelica. This is a warm spirit, but is by no means unrefined, and has a long, citrus finish. The flavour is full of citrus: lemon and lime; very fresh, with just a hint of cardamom spice. All in all, this is a lovely, refreshing drink that is full of personality. This cocktail is a flavoursome drink, with lots of bold citrus. This is a great way to enjoy the strong citrus nature of the gin and no garnish is needed. Just superb! A vibrant and citrusy Negroni with bright cardamom as well. The gin’s flavour stands up well to the other ingredients and complements them, too, resulting in a pleasantly harmonious drink that is rounded off by a moderately bitter finish. Cutler’s Dry Gin is a lovely spirit; it has good balance and a complex character, with an excellent interplay between citrus, spice, and juniper. My favourite drink was the Gin & Tonic. When I first tried BIG Gin, over two years ago, I was blown away – it ticked all the boxes and mixed well in so many drinks – such was my excitement about telling people about the gin it turns out that I never actually posted the review, despite having written it – sincere apologies to Ben, Holly and all the BIG family. The good thing about this is that I have had the chance to try the gin time after time again and my opinion hasn’t changed. I have re-read and re-tasted the gin – made the odd tweak here and there but largely my conclusions remain the same. 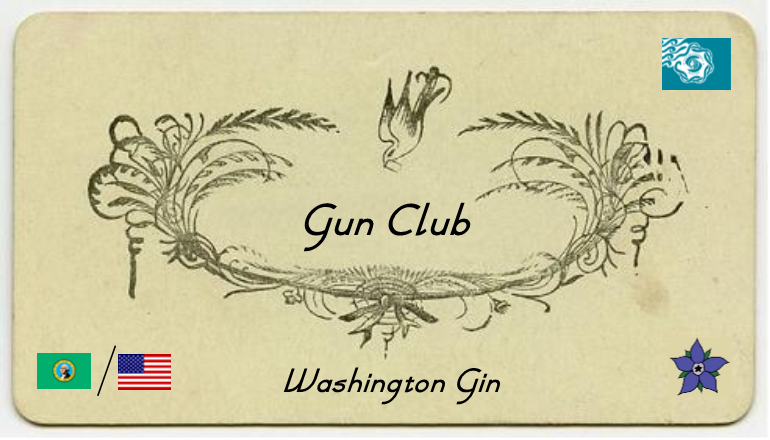 You have probably picked up that a few weeks back I embarked in the wholesome project of trying to taste as many gin, each distilled in a separate US state as possible with my US counterpart Aaron of TheGinIsIn (America’s Gin website). He’s written a rather good round-up of the event here. But has kindly omitted my favourite, which I shall look at, in detail, today. The gin in question is BIG Gin from Washington State. Big Gin is made by Captive Spirits of Ballad (North-west of Central Seattle) and their master distiller is a third-generation distiller. BIG Gin is designed as an Old World (or Classic) style of gin; that said the text on the bottle and some of the racy cocktails subtlety hint at touch of intrigue behind the products design. Rarely do I comment on packaging (we almost all about taste here at SummerFruitCup) but I do really like the bottle of BIG Gin. Whilst the actually glass is relatively standard (but comfortable to handle) the labelling (a mix of very light green and black) has elegance and grace and reminds of the Penhaligon’s Juniper Sling. Nose: Bright, fresh citrus notes upfront, mixed with coriander, a little vanilla, and then a little menthol and black pepper. Taste: A good amount of spiciness – cinnamon and cardamom – that moves onto juniper and angelica. Then, like the nose, there is some bright citrus, before a dry finish with hints of pepper and menthol from the Grains of Paradise and Tasmanian Pepperberry. A spicy little number, with its fair share of zesty citrus. This is fresh and full of flavours that come together in rather a saucy way. After the ice has melted a tad, this reaches the spot that some drinks miss. It’s delightfully satisfying, with excellent balance, making you reach for another as soona s this one is gone! Pure and crisp, as a Martini should be, but also full of flavour. There is a lovely harmony between the piney juniper and the menthol notes. A little citrus also pops up in the middle, followed by a long, dry finish with a touch of vanilla. The first thing that I notice is a lovely dark chocolate flavour that is followed by some of the richer spice of the gin botanicals such as cardamom. There is then some bitter citrus and the more herbal bitterness of the Campari, which matches well with the pepper/menthol notes. As you drink, a dry, piney juniper note builds, along with a touch of the more floral angelica. This is a drink that I can easily savour again and again, and that is ready to reveal new characteristics with slight modifications of garnish or vermouth. 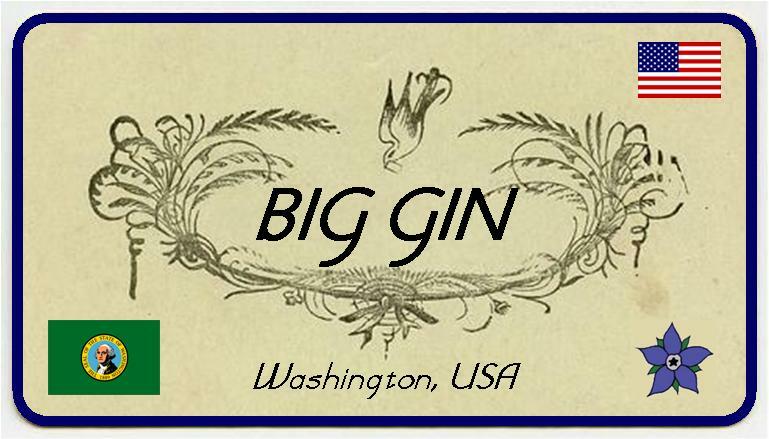 Big Gin is a superb spirit and quickly becoming a firm favourite across the US and far beyond. It adds it’s own charcater to each drink it’s mixed in whilst holding to true to gin routes. My favourite drink is the Negroni, fantastico. I recently reviewed the British Chilgrove Gin which was the first in the UK to be distilled using Grape Neutral Spirit so it was great to try a comparative product from California. Bummer & Lazarus Dry Gin is distilled at the Raff Distillerie on Treasure Island, San Francisco, California. they also make an Absinthe (also base of grape spirit), and are working on a Rum Agricole and a Bourbon. nose: very very fruity; the base spirit is quite evident on the nose with orange and some broader chocolate notes as well as fennel and a touch of dry juniper. taste: a very smooth texture, as you may expect from a grape spirit base. There is a rich plump fruitiness with coriander, orange and grapefruit citrus. A touch of coconut and a hint of pine precede a long dry fruity finish with a pleasant warmth. A very fruity gin and tonic full of plump grapes as well as crisp green apple and pear notes and a little sweetness – the drink is reminiscent of apple jelly or jam. For a garnish I think the crispness of lime contrasts well with the more confectionery elements of the gin. As a diamond-method Martini I think this really works, lots of the pear and apple fruity notes come through as well as some sweetness followed by plump, luscious grape flavours. There is bright juniper, coriander, citrus and spice. A very clean and silky Martini with both the flavour and texture of the base spirit coming through. Very fruity with a smooth succulence courtesy of the grape spirit there are hints of pear and almond too, slightly reminiscent of a bakewell tart. After these flavours, the herbal elements of the vermouth become more pronounced followed by the herbal bitterness of the Campari. A full-bodied drink, with bitterness. Overall it is quite well-rounded. Seattle is a hotbed of distilling at the moment, with gin-making distilleries scattered throughout. One that was a mere stone’s throw from our hotel was Sun Liquor (another being Copperworks). Sun Liquor has a bar attached to their distillery, where they currently make two gins, a vodka, and two rums. 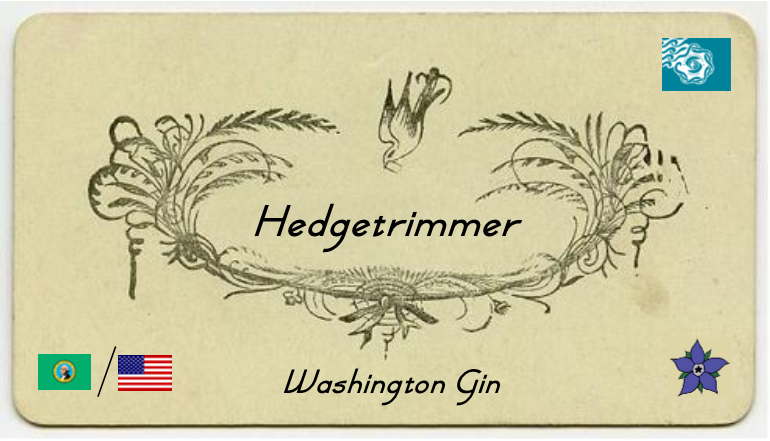 Today’s focus is on the unusually named Hedgetrimer Gin. Why Hedgetrimer? My understanding is that the flavours of the gin somewhat evoke the scents and flavours of a hedgerow, with its mix of leafy green herbal and rich fruit notes. The gin is bottled at 42.0% ABV and is made using a mix of 9 botanicals. The base spirit is in-house using unmalted (non-GMO) organic wheat. The spirit is twice distilled in Scottish copper pot stills and, after the initial distillation, the botanicals are rested for 24 hours. Nose: Soft pine juniper, a little saltiness and other savoury, herbal notes such as black pepper. Then coriander and fresh citrus. Taste: Plenty of coriander followed by angelica, pine and citrus. This has a smooth, creamy texture, with warmth towards the end. A pretty classic gin with good balance. The Hedgetrimer Gin & Tonic is, as you might imagine from the name, piney and zesty. It’s quite a classic style, with a good amount of dryness, but refreshing, too, and the gin stands up well to the tonic. Lemon would be my garnish of choice. A smooth Martini, with lots of juniper. This is a really good example of a dry Martini with lots of flavour; after the dry juniper and pine, there is a little citrus and spice. A simple and straightforward Negroni, but one that ticks all of the boxes. Smooth, with a bitter-sweet finish. The gin is bottled at 50.0% ABV and is made using a mix of 13 botanicals. The base spirit is made in-house using unmalted (non-GMO) organic wheat. The spirit is twice distilled in Scottish copper pot stills and, after the initial distillation, the botanicals are rested for 48 hours. Nose: A crisp nose of juniper and lime. Taste: Bold in flavour and with little burn, this has notes of angelica and juniper, followed by sweet spice, such as cassia, and then some floral notes: violet and hibiscus. The dry finish is of coriander and bright and zesty citrus. Bold flavours, with plenty of spice, especially cassia and cardamom. This is followed by dry, citrus and juniper, plus softer angelica notes. Definitely a punchy, quaffable, and delicious drink! Superb – everything I look for in a Martini: powerful and chilling, and a cocktail that that really wakes you up. There’s a symphony of botanical flavours with a good juniper solo, a citrus and herbal chorus, and a finish that lasts, just like a great tune that’s stuck in your head. Excellent. A very solid Negroni, although maybe a little sweeter, spicier, and creamier than many others. There’s a good bitterness on the finish, making this a first-class Negroni with flair.